Best Australian ODI XI of All Time: A Galaxy of Champions: If there’s one team which has been out and out dominant in 50-overs format, it has to be the Men in Yellow – Australia. 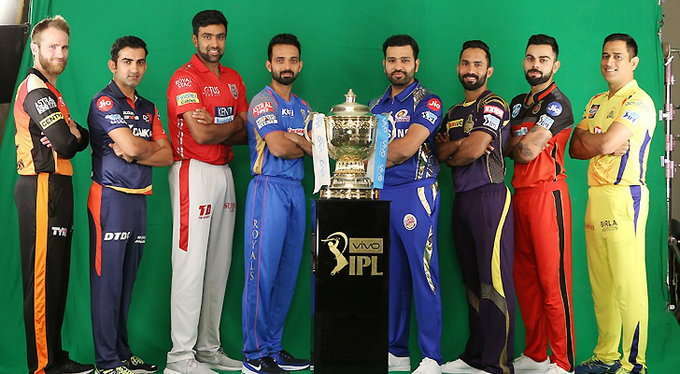 The level of their ascendency in One-day format can be understood from the fact that Kangaroos are five-time World Cup champions. While no other team has managed to put their hands on the Cup more than twice. Australia has produced world-class players who have graced the game with their superior skills and flamboyance. 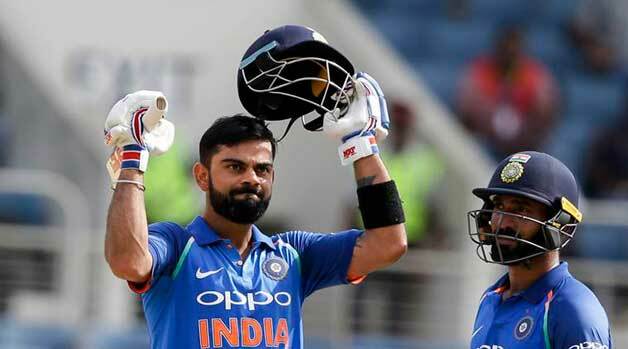 Be it aggressive batsmen, fiery bowlers, quality all-rounders or athletic fielders, the Baggy Green have given the world plethora of top-notch ODI performers. The world never knew what powerful role a Wicket-keeper can play in front of the stumps until Adam Craig Gilchrist burst to the scene. Glichrist was pure destruction, at his best and when he got going, bowlers couldn’t find a place to hide. The Aussie wicket-keeper was an integral part of Australia’s golden ODI generation. The dashing southpaw was a big-match player. Glichrist notched up scores of 54, 57 and 149 runs in finals of three World Cups, he was part of. 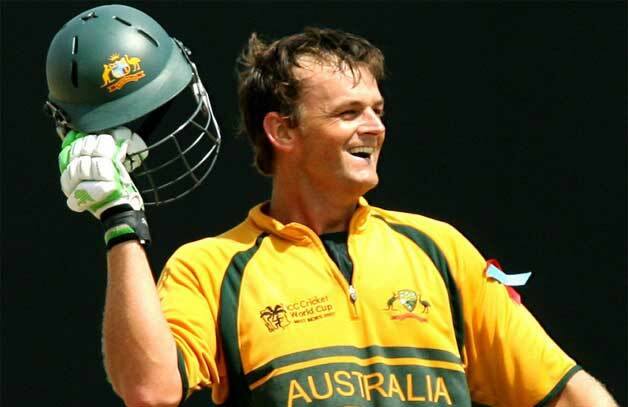 Overall, in 286 ODIs, Gilchrist blasted 9,595 runs at almost 36 with a strike-rate of 97. Mark Waugh was one of the most gifted players to have played for Australia. Junior possessed a repertoire of strokes that oozed class and elegance. His beautiful cover drives are still etched in our memories like a breath of fresh air. The elegant batter use to set solid base upfront and often sucked the enthusiasm out of new-ball bowlers. His moment under the sun came in 1996 World Cup where he scored three centuries and became the first batsman to do so in World Cup cricket. Waugh’s fabulous century in Quarter-final of the 96 WC against the Kiwis will be remembered for long. 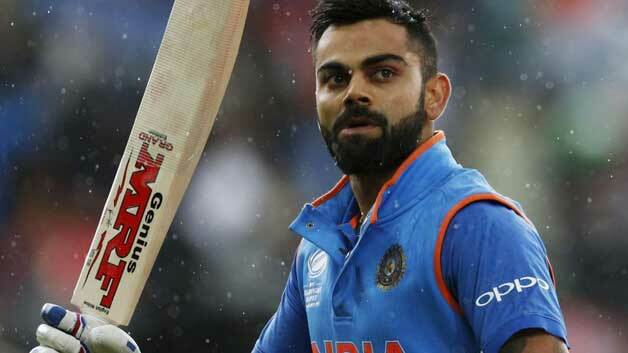 In 244 ODIs, the right-hander amassed 8,500 runs at 39.35 with a strike-rate of 76.90. Junior was world-class in slips as well besides being a handy part-time offie. One of the greatest batsmen of all-time, Ricky Ponting walks into this list as the leader of the side. 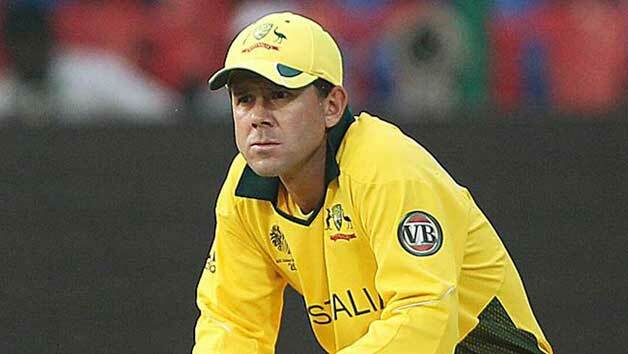 Ponting led Australia to two World Cup triumphs. As a batsman, Ponting produced great performances for ages and to maintain an average of 42.03 after playing 375 ODIs and score in excess of 13,000 runs with 30 centuries is a testament to his prolonged period of excellence in One-day format. Punter wore his heart on his sleeves and was an outright warrior on the field. Those playing against him considered him as the toughest competitor. His greatest knock came in 2003 World Cup final where he scored a match-winning century against India. 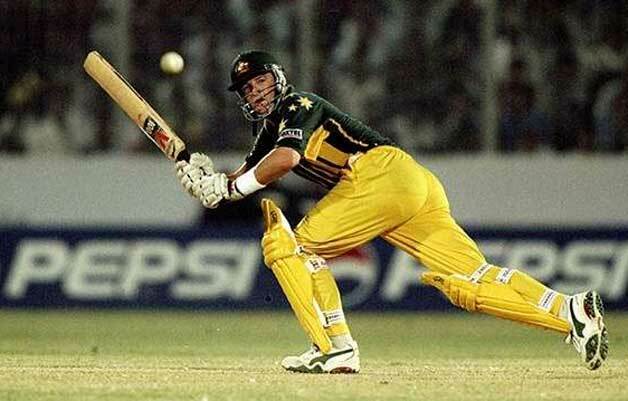 One of the most controversial Australian cricketers, Andrew Symonds was a cracking batsman in ODIs. 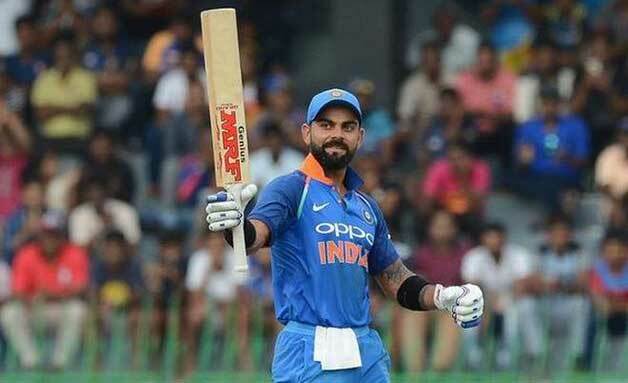 He makes a cut in the list over the likes of Dean Jones, Michael Clarke and Steve Waugh due to his sheer match-winning abilities. Symonds had a bold approach to his game and was known for using muscle power to wallop bowlers all-around the park. He debuted in 1998, but his white-ball career took off in 2003 World Cup when he blasted an unbeaten 143 off 125 balls against Pakistan. From there on, Roy was not only a permanent fixture but also one of the most impactful for the side. 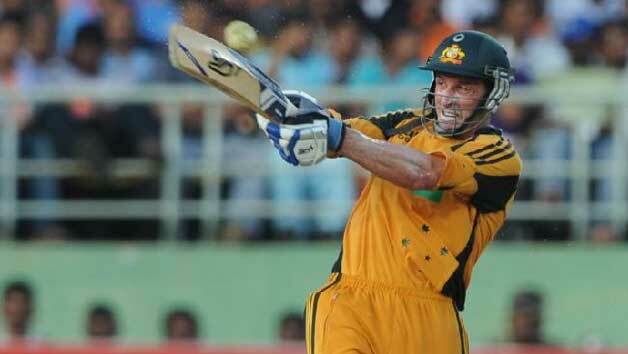 In 161 ODI innings, the English-born Australian scored 5,088 runs at 39.75 with a strike-rate of 92. Symonds was electric on the field. With the white-cherry, he took crucial wickets, occasionally. In fact, he was a much better bowler than he is thought of. The right-armer took 133 ODI wickets. Michael Gwyl Bevan was one of the first successful exponents of the craft of finishing matches. There was a time, when it seemed that the ice-cool Belconnen-born batter could rescue Australia out of any given situation in chases. Bevan scored more than 4,500 runs in 155 Australian wins, making 50-plus scores once in three innings in these games. He was like a cunning fox in chases, and knew when and how to make his moves. Bevan was a great runner between the wickets, knew how to get best out of lower-order players, and when to take calculated risks though he didn’t took many. The southpaw was as good in overseas conditions as well. In 196 ODI innings, Bevan remained unbeaten 67 times. He scored 6,912 runs at an average of 53.58 with a strike-rate of 74.16 while also took 36 wickets with his slow left-arm Chinaman. The Perth-born Michael Hussey was an all-weather and all-conditions cricketer. Be it Tests, ODIs or T20Is, Hussey adapted to all formats like a boss. 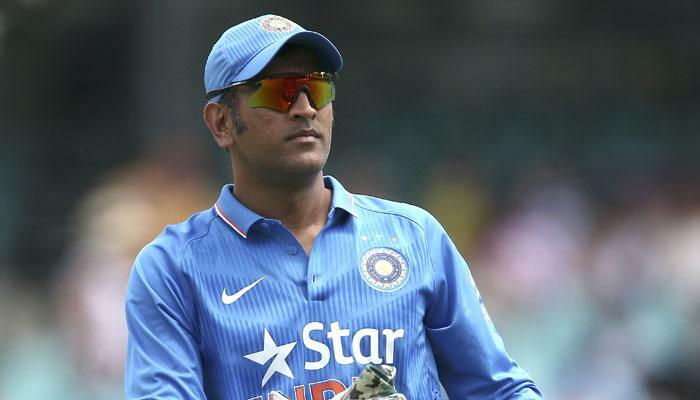 His consistency in One-day cricket was so astonishing at a time, that he was nicknamed ‘Mr. 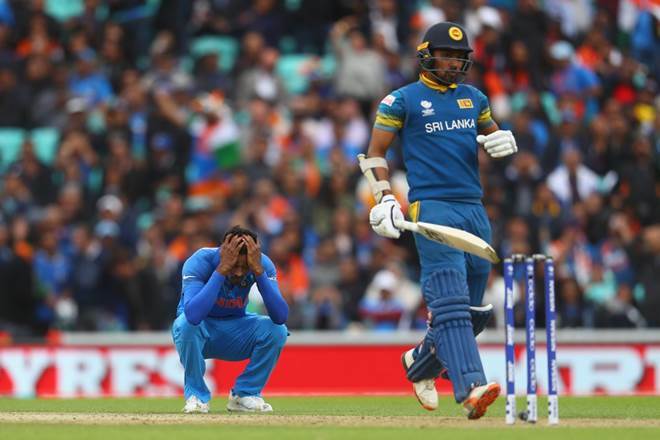 Cricket.’ It took 29 ODIs for his mean to drop below 100. The left-handed Aussie was a late bloomer and it took him a decade of playing domestic cricket to get into the national fold. The Aussie southpaw was quite apt at building up the innings but was equally good at playing the big shots in fag-end. He carried forward the legacy of finishing matches started by Bevan and many believe he even out-batted him. Hussey scored 5,442 runs in 157 ODI innings at 48.15 with a strike-rate of 87. 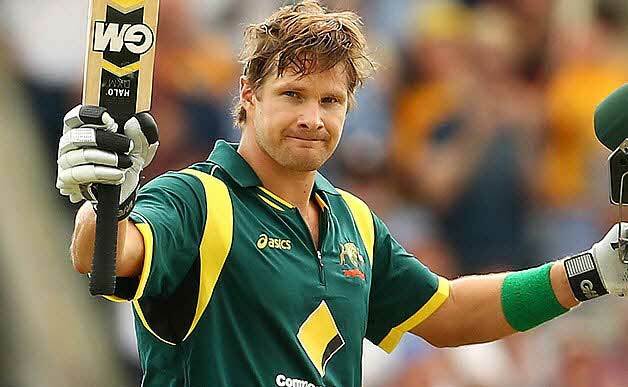 Owing to the brilliance and longevity of Gilly and Junior, the most successful Australian all-rounder, Shane Watson finds a place at 7th in our list. Watson gave career-defining performances while opening the batting. But he was quite good at 7th as well. 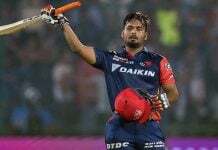 In 23 innings at this position, he averaged 40 with a strike-rate of 87, and we all know how well Watson can use the long-handle, so he won’t be unsuitable at 7, for sure. Watto with his seam-ups was more than a handy bowler especially in shorter-formats and was generally hard to get away. In 190 matches, the stylish batsman stroked 5,757 ODI runs at 40 with a strike-rate of 90. With ball, the right-arm bowler had 168 wickets and maintained an economy of 4.95, which is very decent. We had a tough choice to make between Nathan Bracken and Mitchell Johnson for third pacer’s slot but the latter gets the nod as he played with certain X-factor in him. Despite all his waywardness and inconsistency, Mitchell Guy Johnson was a fearsome bowler and on his day, a game changer. The left-arm express paceman was a genuine wicket-taker. He often used to run in fast and bowl at wild pace. And when ball swings late at Mitch’s pace, its quite tough to have a crack at him. The left-arm bowler also had a sharp bouncer. He was someone the skipper would always bank upon to break a big partnership or unsettle opposition with his intimidating natural pace. In 153 ODIs, the Townsville-born bowler claimed 239 wickets at 25.26 and had an economy rate of 4.83. Johnson was also decent lower-order batsman and could hit the ball a long way. 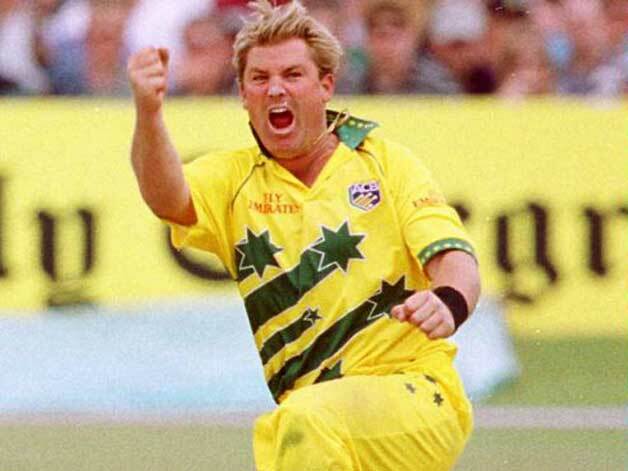 From googly, top spinner, flipper to traditional leg-breaks, Warne had all the magical tricks up his sleeve. Above all, he had a great mind to back up his prodigal skills. The leggie knew how to set-up and outfox the batsmen even if it involved a few banter here and there. Warne could turn the ball miles. He had a charisma of his own and possessed a larger than life image. He was a showman. A typical match-winner. 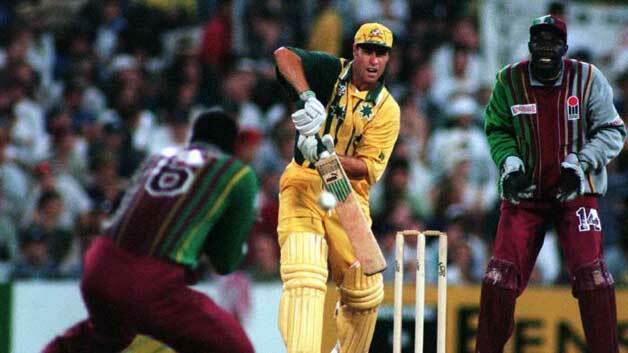 Be it his match-winning 4-36 in the 1996 World Cup semi-final against West Indies or the Man-of-the-Match performance in 1999 World Cup final, Warne never shied away from big games, instead he prospered in the spotlight. In 194 ODIs, the magical leg-spinner took 293 wickets at 25.73. 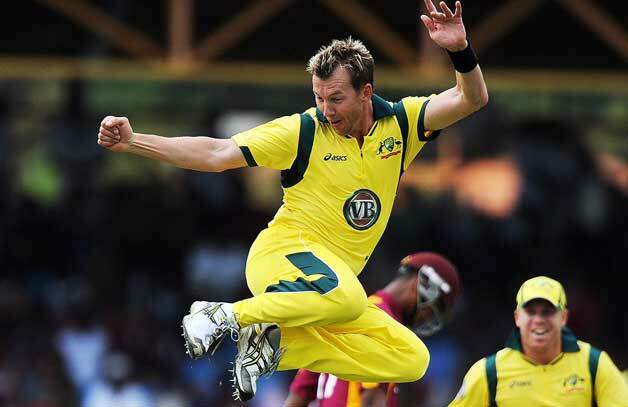 A charging run-up, big jump, rhythmic action, ability to clock 150kph, and leaping celebrations made Australia’s Brett Lee a fan’s favorite though for batsmen, he was a shivering prospect. Lee had a brutish bouncer that floored many and his raw pace made him a trump card for Aussies. Brett had a spark of his own that made him a very likeable character. He was aggressive but never went overboard with his antics on the field and always played with a smile on his face. He never compromised on pace but still managed to sustain a long-career which is some achievement. His One-day records are second to none. Binga played 221 games and scalped 380 wickets at 23.36 with an economy under 5. He excelled on big stages and has 35 wickets in World Cups at 17.97. Glenn Donald McGrath neither had the pace like Brett Lee nor swing like Wasim Akram. Still he is one of the greatest pacers to have graced the game. McGrath didn’t attack the batsmen with pace rather he attacked them with accuracy at the corridor of uncertainty. 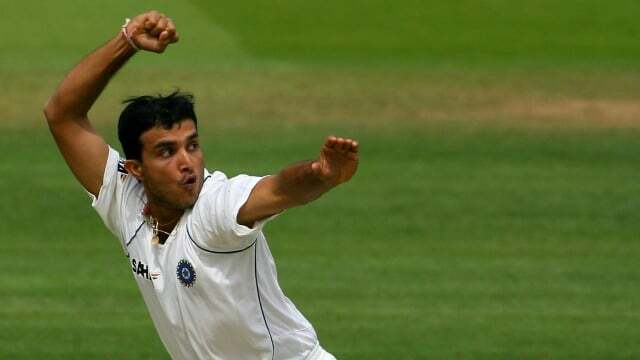 His ability to bowl unwaveringly at immaculate line and lengths, in a machine-esque manner, was his recipe for success. 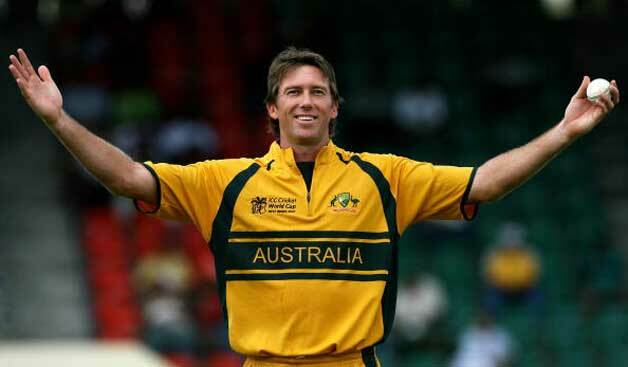 McGrath made his ODI swansong memorable when he finished with highest number of wickets in a single World Cup (2007). Overall as well, Glenn took a record number of 71 wickets at 18.19 and an economy of 3.96 across four World Cup campaigns, out of which, Australia won thrice. He was significant to Australia’s World Cup glories. 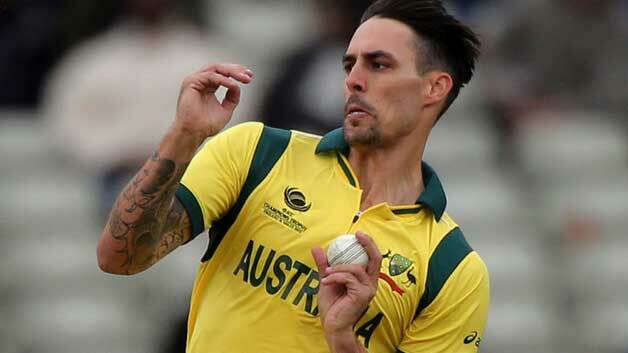 In 250 ODIs, the Dubbo-born pacer took 381 wickets at a brilliant average of 22.02 and a miserly economy of 3.88.